My training as an MD and PhD provides the ideal framework for my work as a clinician-scientist in the field of lung inflammation and repair. My current research focuses on the role of stretch-activated ion channels in the development of ventilator-induced lung injury, inflammatory mediator secretion, loss of epithelial barrier function and lung repair mechanisms. Importantly, we detected for the first time the expression of stretch-activated, 2-pore domain potassium (K2P) channels in the lung1 and discovered that the K2P channel TREK-1 plays a crucial role in the development of hyperoxia- and mechanical stretch-induced lung injury using both in vitro and in vivo models of lung injury2,3. For this purpose, we created several stable, TREK-1 deficient and TREK-1 overexpressing murine and human lung epithelial cells lines. By employing molecular, genetic, electrophysiology and state-of-the-art imaging techniques, including confocal microscopy, electron microscopy and atomic force microscopy (AFM), as well as several K2P deficient mouse models, my lab has received international recognition for elucidating the role of K2P channels in hyperoxiaand mechanical stretch-induced lung epithelial injury4. Over the years. my research has been supported by institutional, national and international funding agencies, including the University of Tennessee Children’s Foundation Research Institute, the NIH and the American Lung Association, the Hans and Blanca Moser Foundation and the Alberta Heritage Foundation for Medical Research. In addition, I am an ad-hoc reviewer for 9 scientific journals. Furthermore, I am currently a co-investigator for the first randomized, controlled trial studying the effects of prolonged steroid treatment on children with ARDS. Aside from studying the molecular aspects of ventilator-induced lung injury, I serve as an attending physician in both the pediatric (PICU) and cardiothoracic (CTICU). 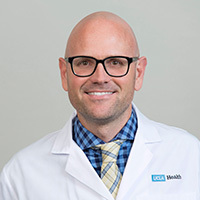 As Associate Fellowship Program Director at the University of Tennessee and now at UCLA, I am responsible for the research component of the Critical Care fellowship program and I have assisted several fellows in obtaining intramural funding and the successful completion of their research projects. I am currently the primary mentor for a neonatology fellow, studying the role of IL-7 containing nanoparticle delivery to lung epithelial cells in epithelial-mesenchymal transition (EMT). Le Bonheur Faculty Award for "Excellence in Research", 2013. Nominee of the University of Tennessee Health Science Center for the Pew Foundation Scholarship, 2012. Le Bonheur Children's Foundation Research Institute Bea Gerber Award, 2011. First place at the University of California in Los Angeles (UCLA) Research Day competition, 2008. Junior Researcher Award from "HGV Suedtirol", Italy, 2001. Travel Award from the American Academy of Allergy, Asthma and Immunology for their Annual Meeting in 2000 and 2001. Marie Louise Imrie Research Award, Austria, 2000. Second place at the University of Alberta, Department of Physiology Research Day Competition, Canada, 1999. Representative of the University of Alberta for the Canadian Institute for Health Research (CIHR) Competition, Canada, 1999.